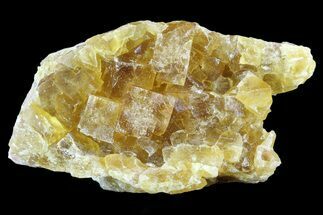 This is a gorgeous 14" specimen of yellow, cubic fluorite that's coated in an aggregation of quartz crystals that nearly cover the entire top of the specimen. 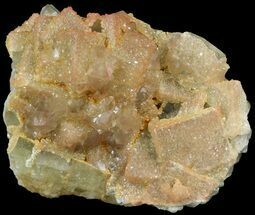 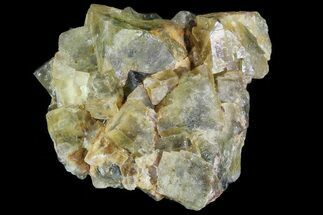 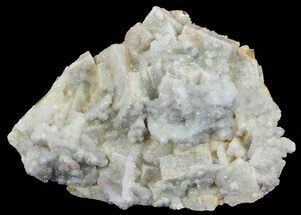 The underside of the specimen contains beautifully formed, yellow fluorite cubes without any coating of quartz. 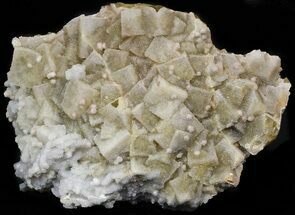 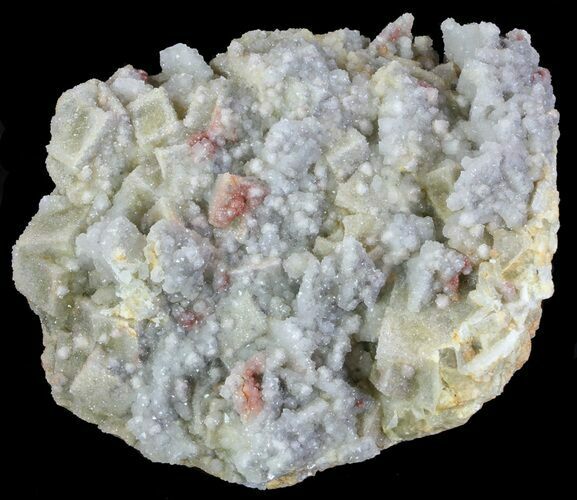 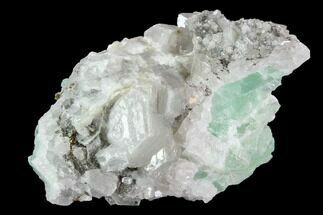 This specimen was collected from Meknes, Morocco.